This is not a small competition! 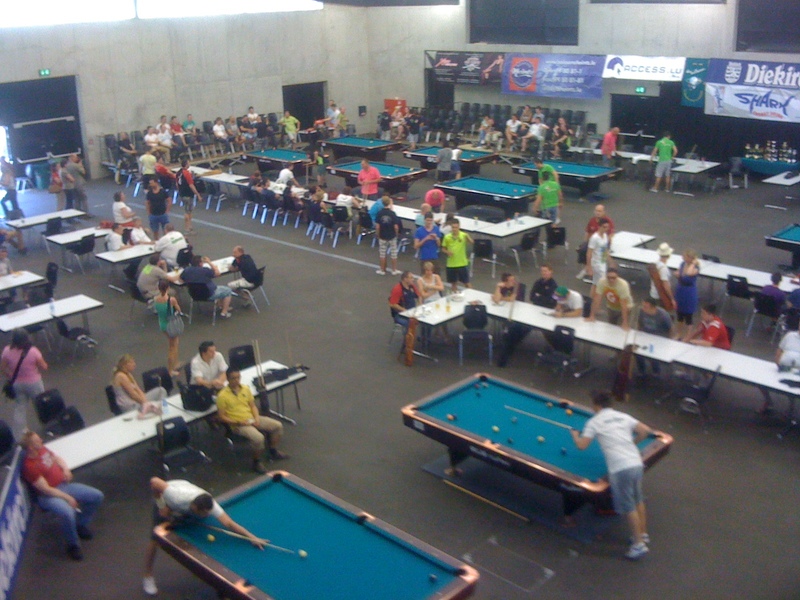 We have 26 tables, between 400 and 500 players total and 80 in the womens division. 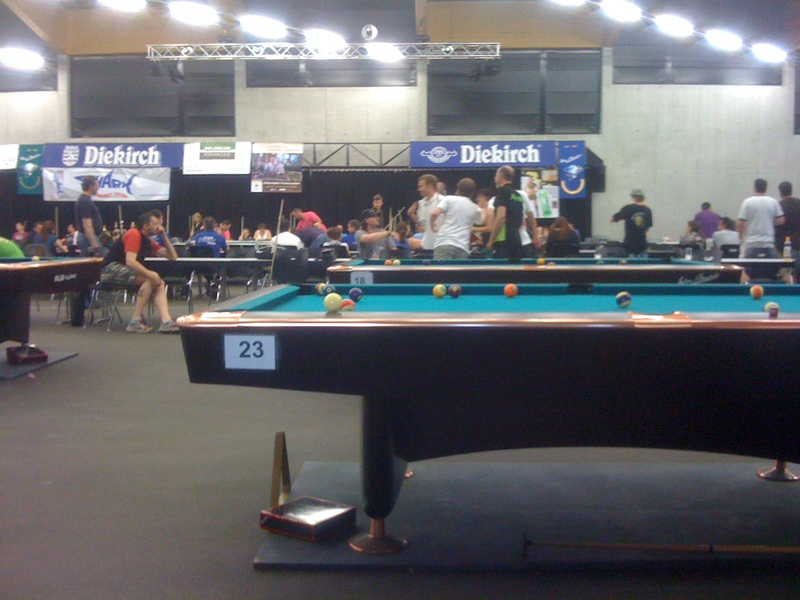 I have already played in teh open and team event on friday to get to know the conditions a little. Not anything spectacular to write about, I finished off in good time to go to bed. Yesterday I was working with the EPBF and today I am ready for the important part of the tournament, the womens division. Today all us three norwegian girls will play. Besides me that is Katrine Grotle and Martine Christiansen. Jone Ree Skjelbred and Fredrik Førde from my club are also here, they have been playing for two days straight and are back on tonight at 18. Hoping for a good day for all of us in the nice summer weather! As you can see I wrote this when I was in Luxemburg. Why it is not publishe I do not know. Anyway, I ended on 33rd in the womens division, I did not play good. In the mens division I almost qualified for the last 64, loosing my last match at 5 in the morning. 65th is not so bad, and I really played well. Anyway, I went back home and studied for a week and then had my exams which went good:) After that I have been so busy I have hardly had any time to look at the internet. Sorry about that. Have to post this picture from Fredriks match in Ardennen Cup. He broke and this is where the cueball landed…. and stayed..